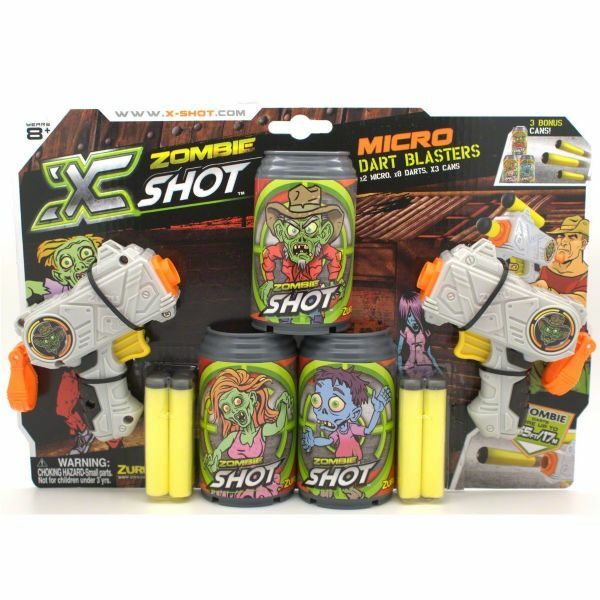 The Zuru X-Shot Micro Blasters Zombie Edition is the latest edition to the X-Shot range. These blasters can fire the Zombie darts up to 55FT/17M. 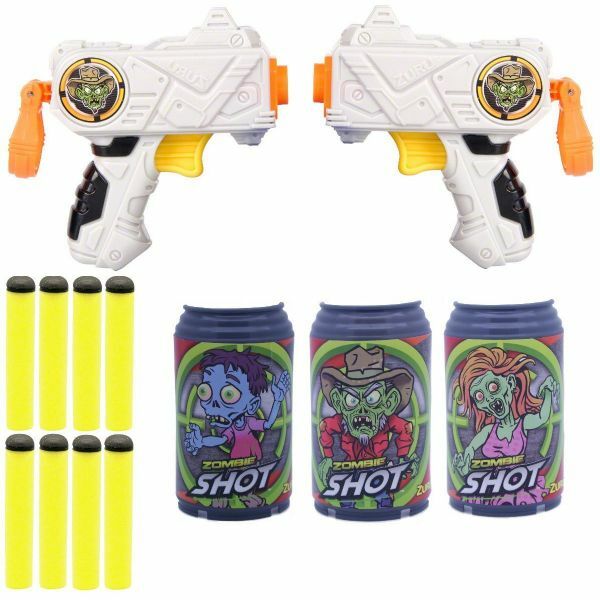 Included with this pack are 2 Zombie Blasters, twice the fun for you and a friend, also included are 8 Zombie darts and 3 target practice Zombie half cans. 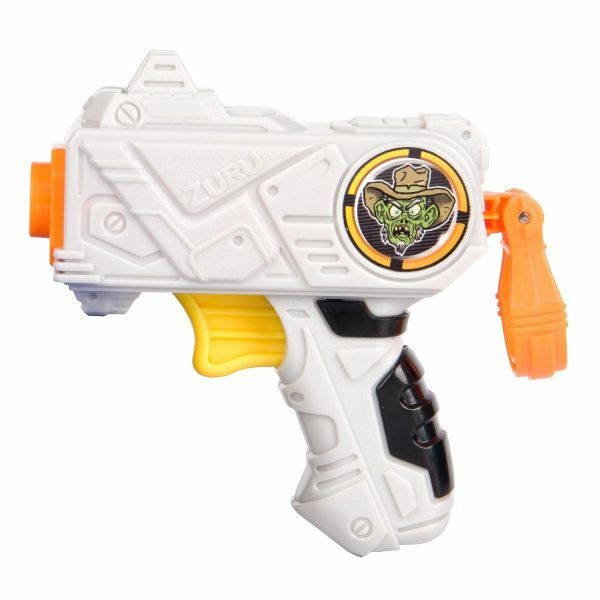 The blasters can hold 2 Zombie darts at a time, one in the barrel and 1 fixed into the clip at the top of the blaster. To load these blasters simply insert the Zombie dart into the barrel and pull back on the mechanisim, then pull the trigger. These Blasters Are Micro Sized. Suitable for children aged 8+ years.